It's a rivalry that dates back to 1974. It's a rivalry that is traditionally recognized as one of the biggest and best in the state in prep football. 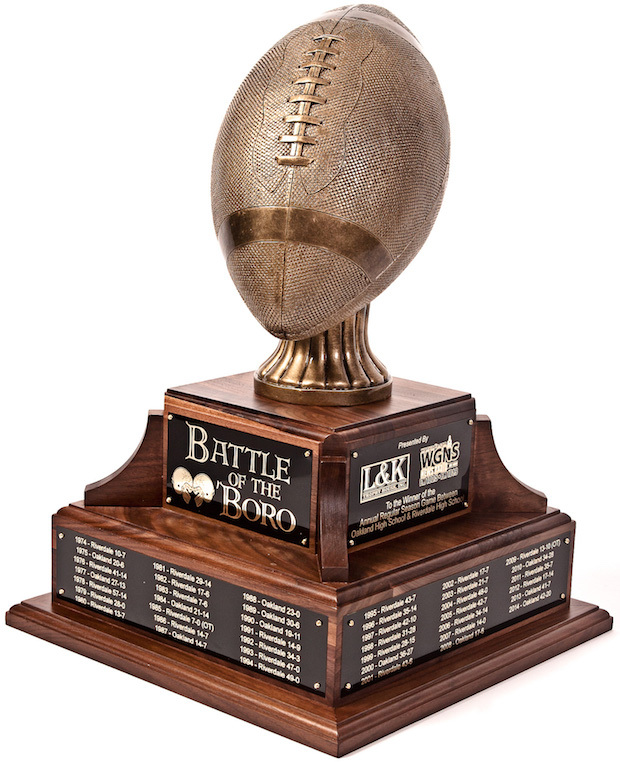 The "Battle of the 'Boro Trophy" was first presented in 2015 by NewsRadio WGNS and L&K Trophy. The perpetual trophy, which was a large bronze football atop two large bases, is presented to the winner of the regular season game each year. The trophy will stay with the school that wins the game each year and be presented annually at the football game. The award was created by NewsRadio WGNS and L&K Trophy House in honor of all of those who have participated and will participate in the future in the longest running football rivalry between Murfreesboro high schools.